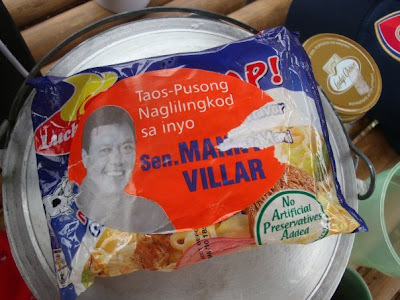 When photos of the styro food package labeled w/ his name were published in a number of blogs, Sen. Manny Villar denied any knowledge about it, adding that if it had been done by his staff, he didn't authorize it. So you'd think he'd be smart enough to order his staff to refrain from politicking via his relief efforts. Well, apparently he has no control of his own staff. A good president he'd make that's for sure. 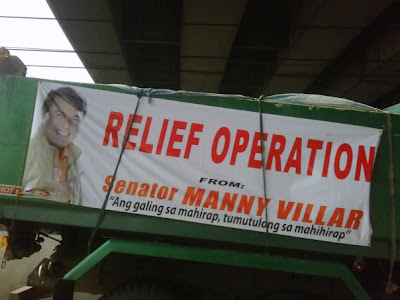 Shame on you Sen. Villar for taking advantage of a calamity like Ondoy just to get your mug and name out there!